Time to “giddy up” for the Monterey National Horse Show at the Monterey County Fairgrounds! This year’s Horse Show will feature a cattle drive, team roping, a BBQ, Miss Monterey National Horse Show and more. Thursday-Sunday, 2004 Fairgrounds Road, Monterey. Free admission. Sold out! Big Sur plays host to a mini music festival this weekend! The Henry Miller Library will be abuzz with live music on Saturday and Sunday duing Woodsist 2012. The two day festival features over ten bands including Real Estate, Sun Araw, Pierced Arrows and Ducktails. Saturday and Sunday, Highway One, Big Sur. Tickets are currently sold out. It’s the last day for MY Museum’s Summer Olympics! Have your kiddos go for the gold and join in for a fun time of races and friendly competition. 3pm-4pm, 425 Washington Street, Monterey. Free with museum admission. Oldtown Salinas becomes “alive after 5” during this month’s First Fridays Art Walk. Several businesses open their doors for special art exhibits, live entertainment, refreshments and fun. 5pm-8pm, Main Street, Salinas. Free event. Holman Ranch Vineyards pairs up two indulgent favorites this evening during a Chocolate and Wine Pairing Class. Wine and chocolate lovers will be in heaven with wine tastings from Holman Ranch Vineyards and chocolate tastings from Lula’s Chocolates. You can even try Lula’s chocolate truffles infused with Holman Ranch’s Pinot Noir! 6:30pm-7:30pm, 19 E Carmel Valley Road, Carmel Valley. $25. Reservations required, call 831-659-2640. Ready, set go! The Salinas Valley Half Marathon takes off bright and early this morning from the historic Soledad Mission. 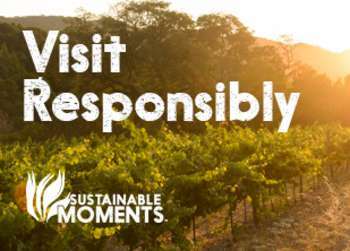 Runners will then jet set through 13.1 miles through beautiful Salinas Valley fields and vineyards; the run even finishes at a winery! Awards begin at 10am at Pessagno Winery. 8am, Salinas Valley. Registration is now closed. Experience the warmth of Carmel Valley and stop by the Earthbound Farms farm stand along Carmel Valley Road. Today they will offer up food samplings from their organic kitchen while featuring some of their newest product additions. 11am-3pm, 7250 Carmel Valley Road, Carmel. Free event. You may have been to the Monterey Bay Aquarium by day but have you ever seen it after hours? Check out Evenings by the Bay where visitors can see their favorite animals while enjoying live music and special programs. 6pm-8pm, 886 Cannery Row, Monterey. Free with aquarium admission. Big Sur River Inn hosts Andrea’s Fault this afternoon out on the patio. This diverse trio plays something for everyone in genres ranging from jazz to rock and roll. 1pm-4pm, 46840 Highway One Big Sur. Free event. 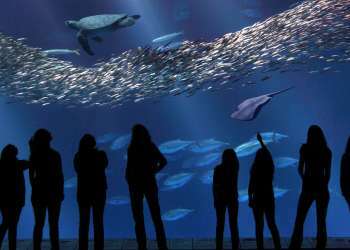 Once again the Monterey Bay Aquarium is open late for another edition of Evenings by the Bay. This is a great way to see your favorite animals with a smaller crowd and live music. 6pm-8pm, 886 Cannery Row, Monterey. Free with aquarium admission.